The following post is sponsored by FitFluential LLC on behalf of Reebok. The thoughts and opinions reflected all remain my own. 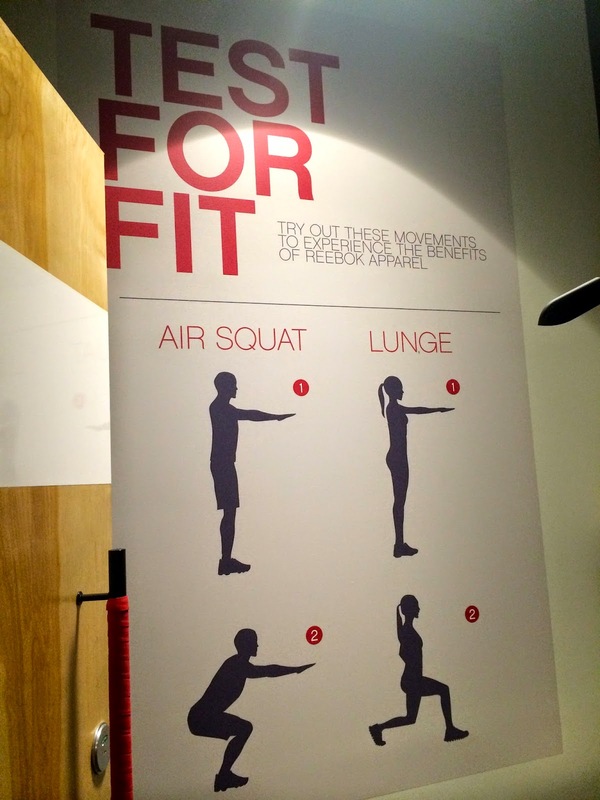 Remember when Reebok opened their first FitHub in NYC? 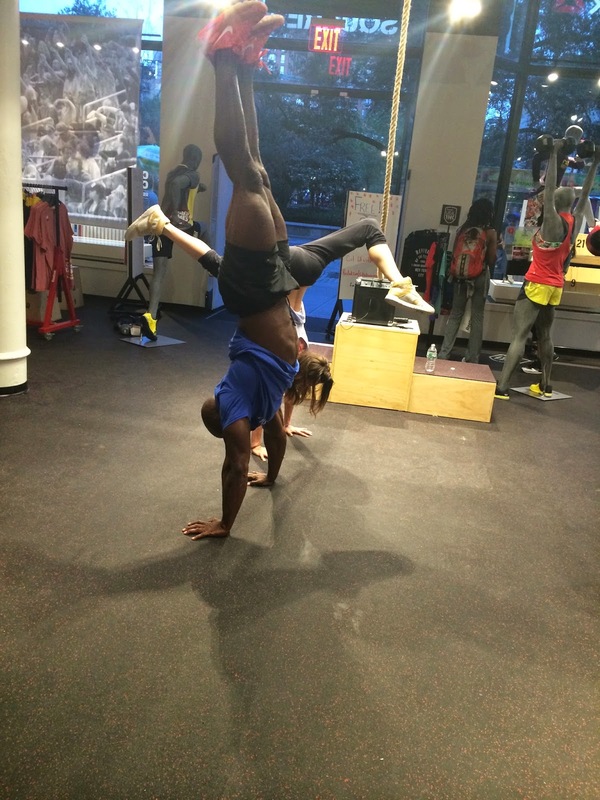 I had a blast touring the store, doing a CrossFit WOD, and trying out their running club. 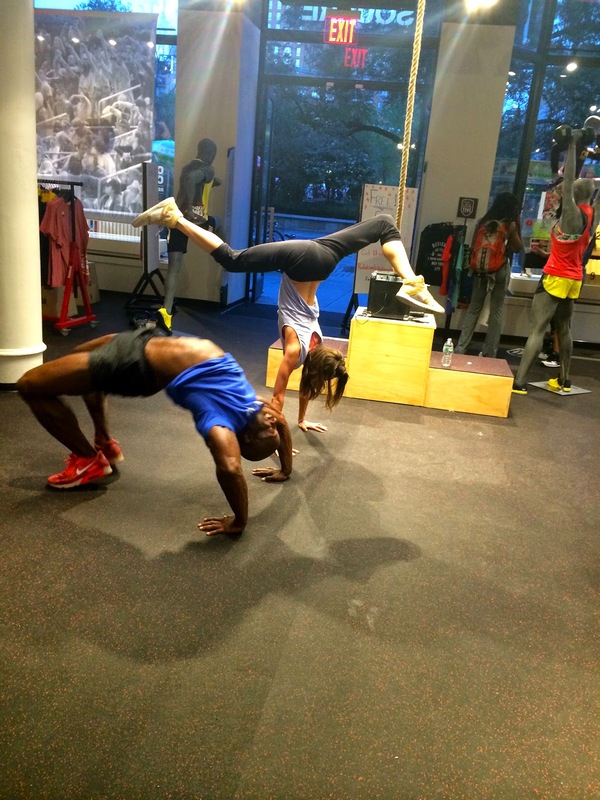 Check out this video to learn what Reebok fitness is all about. They just opened up a BRAND NEW FitHub right on Union Square in New York City! 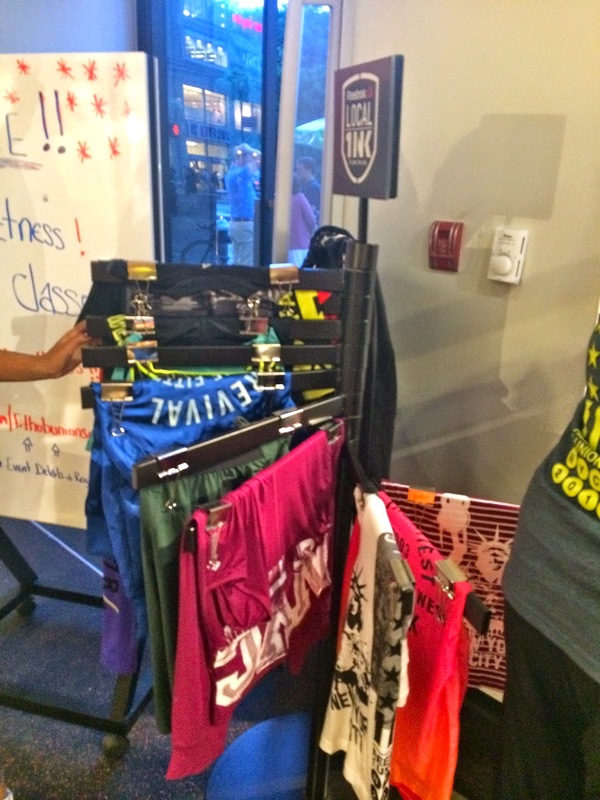 The Reebok FitHub experience includes products, fitness experts, in-store classes, and community events. I'll take all of it, please. But seriously, it's way more than a store. The Reebok FitHub offers FREE (!!) classes with fun, skilled instructors. The classes go beyond yoga, so you're sure to find something you'll enjoy. Just look at the events calendar! Want to see more of what's on schedule for the coming weeks? Click here for Union Square's upcoming events! Reebok Apparel - So soft!! Above, I'm sporting the Cuffed Yoga Capri and the Yoga Com Tee shirt, which were both so soft I could will most likely sleep in them. BUT they are made for workouts, so the shirt, the pants, and even the "fluora" D Short Bra were made with Playdry materials: "Put sweat in its place. 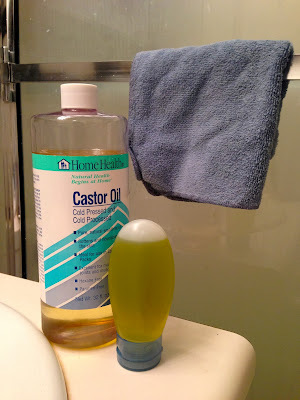 Playdry wicks moisture away from your skin, helping you stay drier and comfortable." And comfortable, I was! 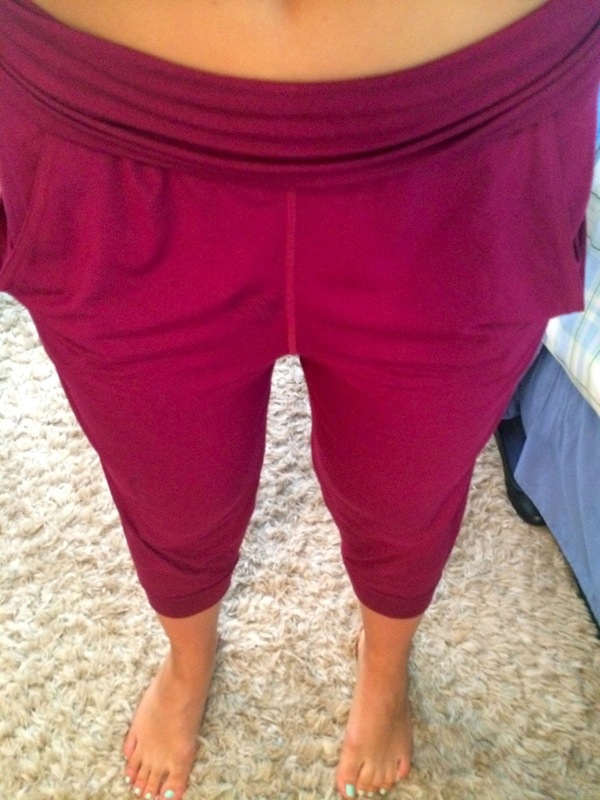 The loose fit of the mildly harem-style pants are so fun--a nice break from standard fitted yoga pants. See that "Practice Something" print on my shirt? 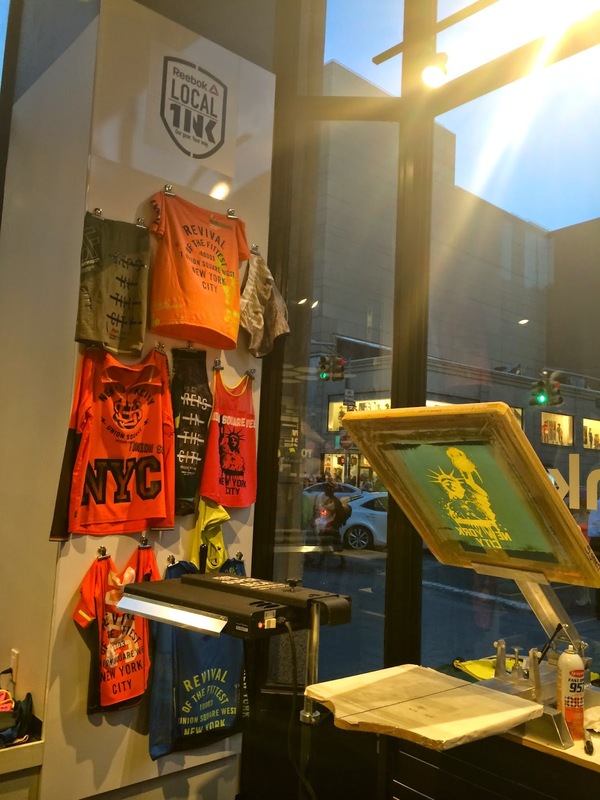 The FitHub is offering this really neat feature of the store called "Local Ink", where you can pick a neat design to screen print on any item in the store! You pick the apparel and pick the design, and Local Ink makes it happen for you right then and there. 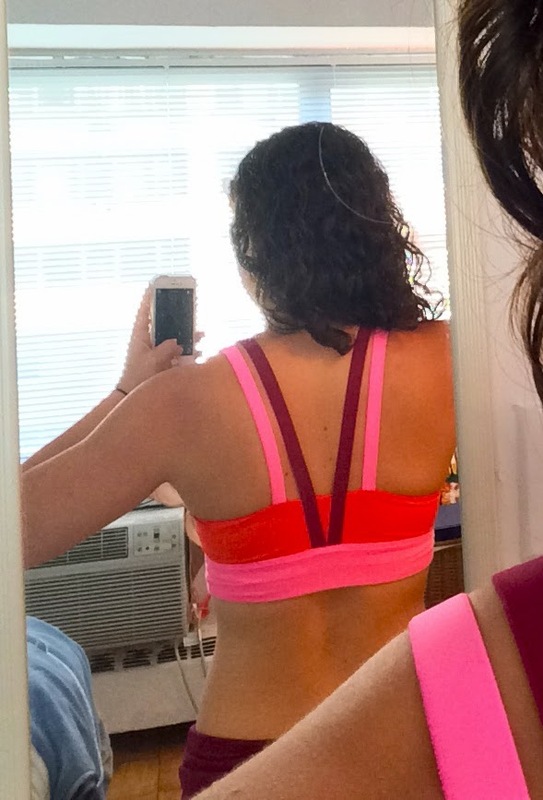 It even quick dries so you can customize your new fitness gear and take it home right away. How cool is that?? Tara's class was awesome, as always. No getting bored, here; she keeps things moving! It was a warm day and we had the doors open, so that kept us warm, and the constant flow through poses kept us warmer. I definitely broke a sweat in this yoga workout! "If you're good there, stay there..."
"If you're into shenanigans tonight..."
"Told you we'd get to take a nap in the middle of the Reebok store." She keeps it light, which keeps it fun. It was also especially fun watching the folks on the street slow down as they passed, hearing the music, peeking in at the yoga session going on. Every time, Tara invited them in to join! Finally, before leaving, I had to browse the store, which was sectioned by activity: training, running, studio. A quick peek at the shoe walls, and I was on my way. 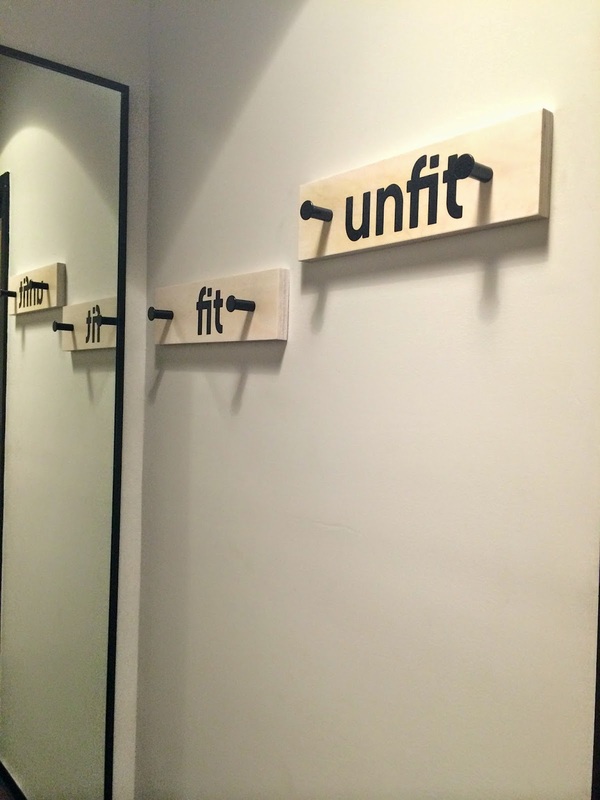 I'll definitely be heading back to the new Reebok FitHub at Union Square to shop, play, and work out! Maybe I'll see you there? I dare you to check out the new location, or you can also click here to see where other FitHubs are located to find one near you! Another quick dare: NYC's Summer Streets is happening this month--beginning SATURDAY! Check out last year's recap to learn what it's all about, and then prepare to hit the road (Specifically, Park Avenue and Lafayette) on Saturday, August 2!